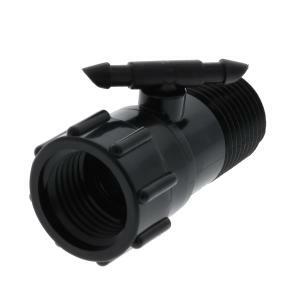 This 1/2" Riser Adapter with 1/4" Swivel Barbed Tee allows you to incorporate a 1/4" micro tube between the 1/2" riser and the sprinkler. Place the fitting between sprinkler and riser then attach 1/4" micro tubing for a drip system directly from the sprinkler line. Barbed tee can be rotated 360°.